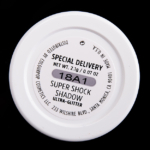 Colour Pop Special Delivery Super Shock Shadow ($5.00 for 0.07 oz.) 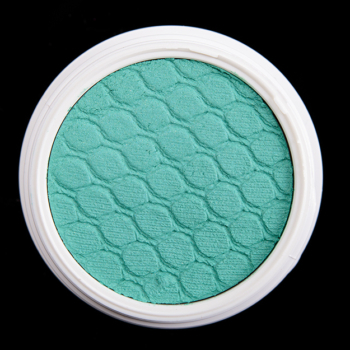 is a medium, minty green with subtle, warm undertones and a sparkling, metallic finish. 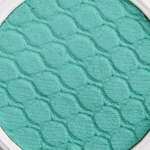 It had semi-opaque pigmentation that applied somewhat evenly to the lid, but it seemed like it would function better as a layering shade for added shimmer and sparkle. The texture felt wet to the touch but wasn’t too slippery, and it set to a power-like finish that wore well all day long and had almost no fallout after 10 hours of wear. Anastasia Isla (LE, $12.00) is warmer (90% similar). 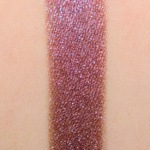 Urban Decay Big Sky (PiP, $19.00) is darker (90% similar). 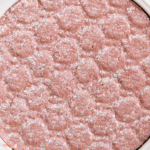 Chanel Jade Shore (LE, $34.00) is less shimmery (90% similar). Colour Pop Bungalow (P, $8.00) is darker, cooler (90% similar). NARS Tarvos (P, $29.00) is lighter, cooler (85% similar). Huda Beauty Emerald #5 (LE, ) is darker, more muted (85% similar). 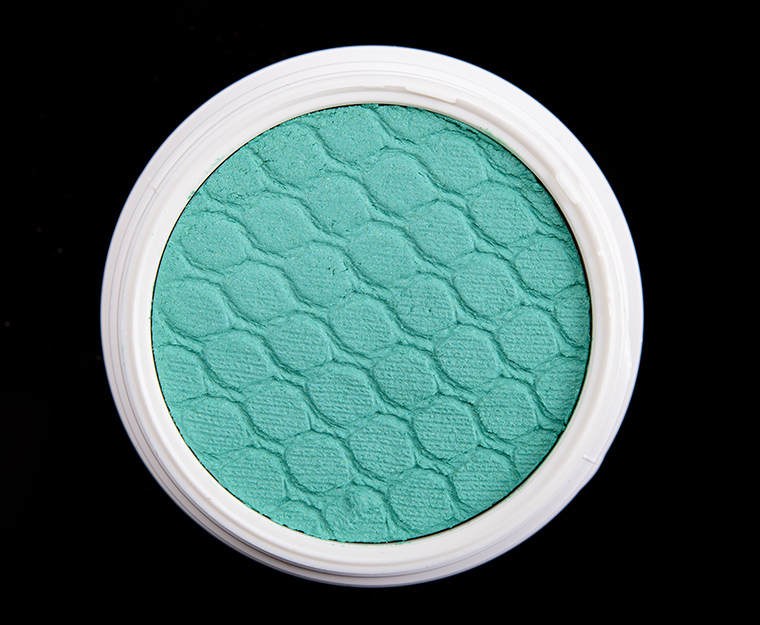 Huda Beauty Emerald #3 (LE, ) is more shimmery, lighter, warmer (85% similar). Make Up For Ever ME304 Emerald (P, $17.00) is less shimmery, darker (85% similar). 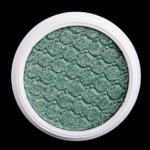 City Color Tide Pool (P, $6.99) is darker (85% similar). City Color Beach Cottage (P, $6.99) is brighter, cooler (85% similar). 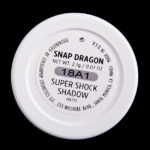 Colour Pop Snap Dragon Super Shock Shadow ($5.00 for 0.07 oz.) is a medium teal with subtle, cool undertones and a satin finish. It had good pigmentation with a velvety, dense consistency that was thin on the lid but still adhered evenly and blended out fairly easily along the edges. On me, it wore well for 10 hours without fading or creasing. Sugarpill Mochi (P, $13.00) is lighter, warmer (90% similar). Makeup Geek Dragonfly (P, $6.00) is darker, more muted (85% similar). Inglot #372 (P, $6.00) is darker (90% similar). Sephora Helen P (LE, ) is lighter, more muted, cooler (85% similar). 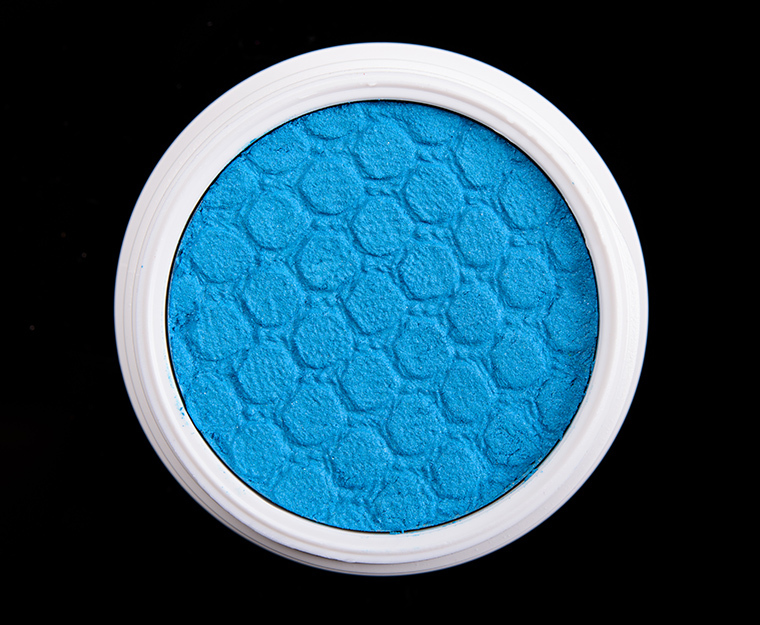 Colour Pop Muscle Beach (P, $5.00) is lighter, more muted, cooler (85% similar). 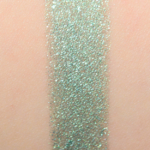 Sephora Green Tea Time (12) (DC, $10.00) is more shimmery, darker (85% similar). LORAC Avocado Toast (LE, $19.00) is lighter, more muted (80% similar). Colour Pop Zoomship Super Shock Shadow ($5.00 for 0.07 oz.) is a vibrant, medium blue with cool undertones and a semi-matte finish. 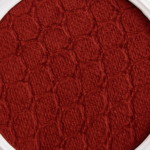 It was richly pigmented and had a smooth, velvety texture that was sponge-like but had the blendability of a cream while retaining the pigmentation and ease of use of a powder eyeshadow. This shade lasted for 10 hours on me without fading or creasing. Kat Von D Synth (LE, ) is darker (95% similar). Natasha Denona Laguna (LE, ) is cooler (90% similar). 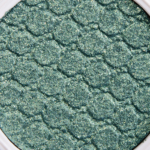 MAC Electric Eel (P, $17.00) is more muted (90% similar). 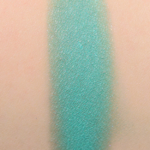 MAC Blue Candy (LE, $17.00) is darker (90% similar). 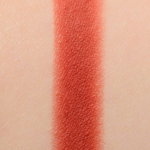 NARS Mad Mad World #1 (DC, $25.00) is darker (90% similar). 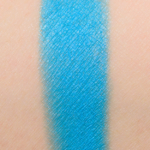 MAC Blue Mesa (LE, $17.00) is darker, warmer (85% similar). Kat Von D Doom (LE, ) is lighter (85% similar). MAC Triennial Wave (LE, $17.00) is darker (85% similar). Sydney Grace Oasis (P, $5.00) is cooler (85% similar). Cyclopentasiloxane, Dimethicone, Trimethylsiloxysilicate, Boron Nitride, Isododecane, C30-45 Alkyl Cetearyl Dimethicone Crosspolymer, Cyclohexasiloxane, Dimethicone/Vinyltrimethylsiloxysilicate Crosspolymer, Hydrogenated Polyisobutene, Phenoxyethanol, Disteardimonium Hectorite, Glycine Soja (Soybean) Oil, Mangifera Indica (Mango) Seed Butter, Propylene Carbonate, Ethylhexylglycerin, Palmitic Acid, Cucumis Sativus (Cucumber) Fruit Extract, Blue 1 Lake (CI 42090), Mica (CI 77019), Titanium Dioxide (CI 77891), Yellow 5 Lake (CI 19140). Colour Pop Frog Super Shock Shadow ($5.00 for 0.07 oz.) 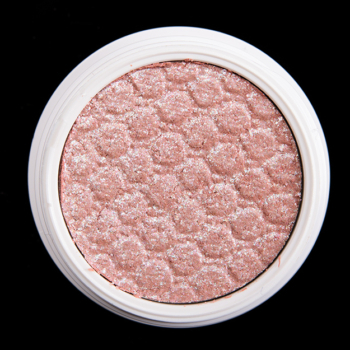 is a muted, peachy pink with warm undertones and a sparkling, metallic finish that was multi-colored. 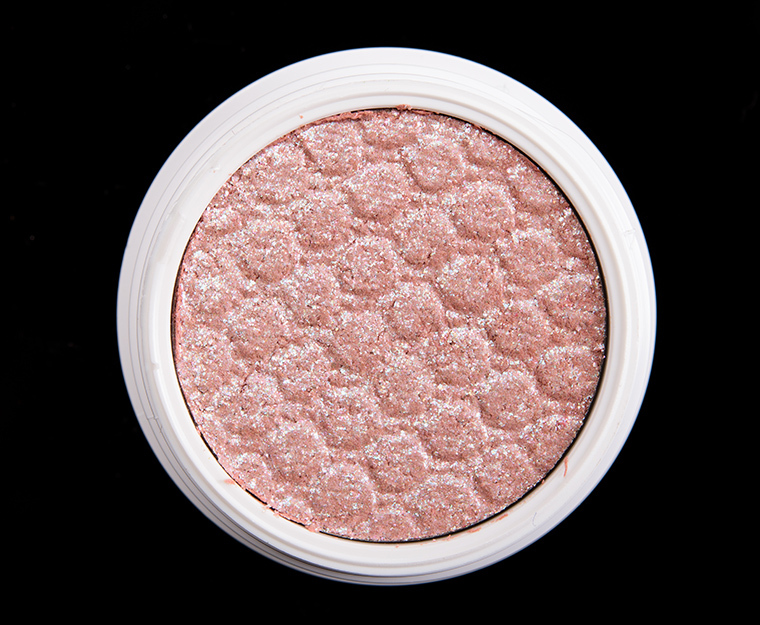 The texture felt wet to the touch, very creamy without being thick or heavy, so it was easy to pat onto the lid for a sheer wash of shimmer or layered on top of another eyeshadow for a sparkling effect. It had medium coverage, which was buildable to semi-opaque coverage but was not opaque on its own. The eyeshadow stayed on well for nine hours with slight fallout over time. Charlotte Tilbury The Uptown Girl #3 (PiP, ) is lighter (90% similar). Colour Pop Alchemy (LE, $5.00) is warmer (90% similar). Colour Pop Tickled (LE, $5.00) is more shimmery, warmer (95% similar). Jouer Bikini (LE, ) is more pigmented (90% similar). Tom Ford Beauty Azure Sun (Eye Color) (LE, ) is less shimmery, warmer (90% similar). MAC Pastelluxe #2 (PiP, ) is warmer (90% similar). Tarte Heat Wave (LE, ) is less shimmery, darker (90% similar). Colour Pop The Most (LE, $5.00) is less shimmery (90% similar). Colour Pop My Treat (PiP, $5.00) is less shimmery (95% similar). bareMinerals Custom Made (LE, ) is less shimmery (90% similar). Colour Pop Wittle Super Shock Shadow ($5.00 for 0.07 oz.) 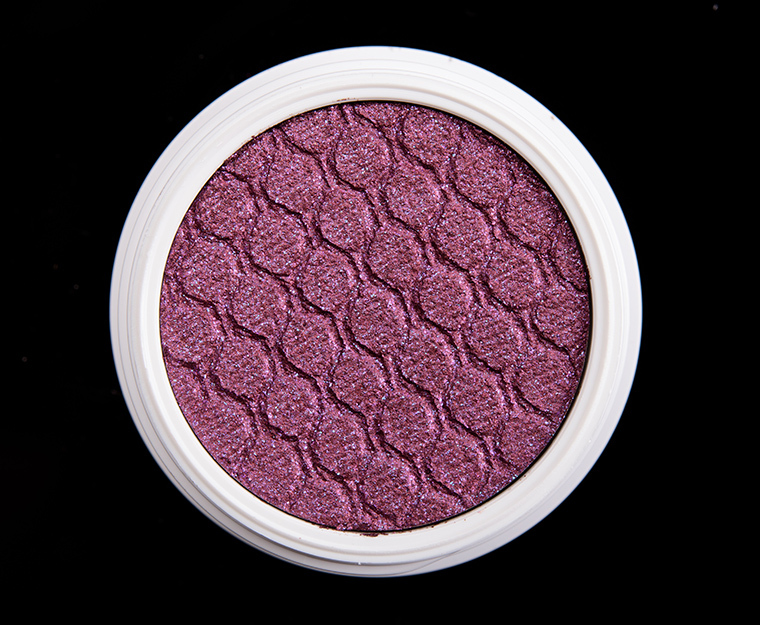 is a medium plum with warm undertones and a sparkling finish. It had more of a pearlized finish with flecks of sparkle on top. The color payoff was opaque in a single layer, and the color applied evenly and smoothly over bare lids. 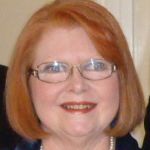 The consistency was smooth, lightly emollient, and easy to work with along the edges. It wore well for 10 hours without fading or creasing. Viseart Petit Pro #8 (LE, ) is darker, warmer (90% similar). Natasha Denona Livid (146DC) (PiP, $29.00) is warmer (90% similar). 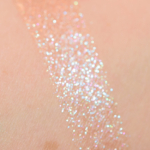 Make Up For Ever Beam (LE, ) is more shimmery, lighter (90% similar). Too Faced Livin' Lavish (LE, $16.00) is darker (90% similar). Inglot #445 (P, $7.00) is cooler (90% similar). 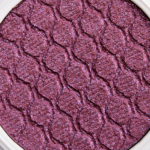 Urban Decay Shockwave (P, $20.00) is more shimmery, darker (90% similar). MAC Can't Stop, Won't Stop (LE, $18.00) is more shimmery, lighter (90% similar). MAC Brazenly (LE, $17.00) is less shimmery, darker (90% similar). Urban Decay Weirwood Leaves (LE, $19.00) is less shimmery, more muted (90% similar). Sephora Make a Wish (344) (P, $8.00) is less shimmery, cooler (90% similar). Cyclopentasiloxane, Dimethicone, Calcium Sodium Borosilicate, Trimethylsiloxysilicate, Isododecane, Silica, Cyclohexasiloxane, C30-45 Alkyl Cetearyl Dimethicone Crosspolymer, Boron Nitride, Dimethicone/Vinyltrimethylsiloxysilicate Crosspolymer, Hydrogenated Polyisobutene, Phenoxyethanol, Disteardimonium Hectorite, Glycine Soja (Soybean) Oil, Mangifera Indica (Mango) Seed Butter, Palmitic Acid, Propylene Carbonate, Ethylhexylglycerin, Tin Oxide, Cucumis Sativus (Cucumber) Fruit Extract, Blue 1 Lake (CI 42090), Iron Oxides (CI 77491), Mica (CI 77019), Titanium Dioxide (CI 77891). Colour Pop No Promises Super Shock Shadow ($5.00 for 0.07 oz.) 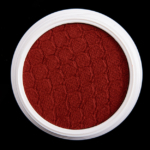 is a dark copper with warm, orange undertones and a matte finish. It had opaque pigmentation in a single layer, which applied evenly to the lid and blended out easily along the edges for a smooth gradient that sat flatteringly on the skin. On me, it stayed on well for 10 hours without fading or creasing. 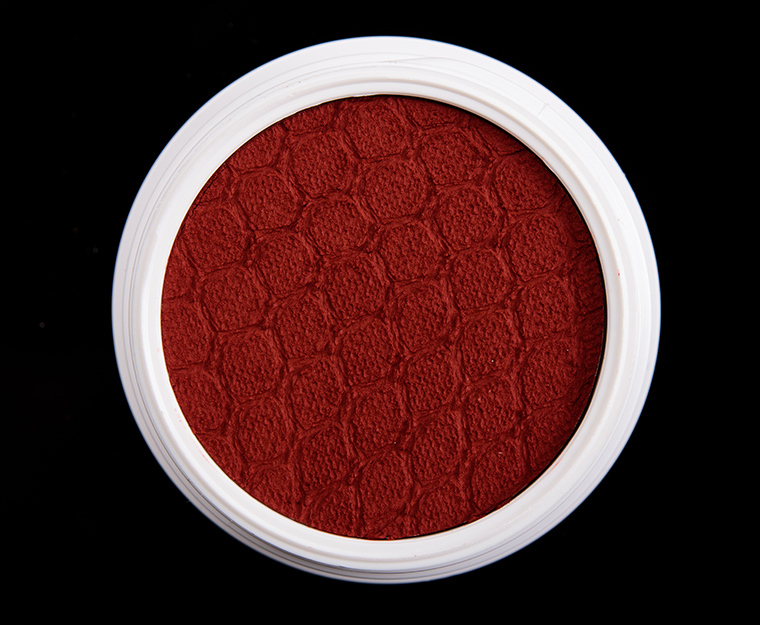 Make Up For Ever M738 Auburn (P, $17.00) is more muted, warmer (90% similar). Natasha Denona Tribe (LE, ) is lighter (90% similar). Sydney Grace Berry Fizz (DC, $5.00) is lighter, cooler (90% similar). Juvia's Place Ada (P, ) is lighter (90% similar). Sydney Grace Supreme Harvest (PiP, $5.00) is more muted, cooler (90% similar). Zoeva MT080 (PiP, ) is warmer (90% similar). Viseart Grande Pro (Vol. 1) #5 (LE, ) is lighter (90% similar). Urban Decay Tajin (LE, $19.00) is warmer (90% similar). Sydney Grace Pipers Piping (P, $5.00) is lighter, cooler (85% similar). I AM SCREAMING OVER SNAPDRAGON AND ZOOMSHIP!!! Can’t wait to get them!! Stunning shades, especially Special Delivery. A glorious array of colours. Ooohh, I am HERE for Zoomship! I love me some bright blues. I don’t typically wear colors like Zoomship but I’m very drawn to that one! It’s such a rich, bright blue. These are all so pretty! 🙂 I love the brights. It’s good to know CP is hearing that we’re sick of all warm neutrals and want more colors from them. The brights, glitters, and metallics is why I first started buying them. Love them all, especially attracted to the blues after the long drought with only neutrals. Also, does anyone know where to get real snapdragons in that gorgeous color???. These are not colors I play with, though Wittle may be the exception, but they certainly are a joy to behold. I think I want every single one of these. Colourpop knocked it out of the park with these!! I’ve been eyeing Frog online for awhile and you just sold me on it and Wittle. I’m surprised I don’t have any dupes for either.